To Beard Or Not To Beard? That Is The [Interview] Question. Full beard. Goatee. Mustache. Scruff. Sideburns. Clean shaven. According to pogonologist Dr. Allan Peterkin—yes, there is a formal name for a beard scholar—a man’s facial hair says a lot about him. 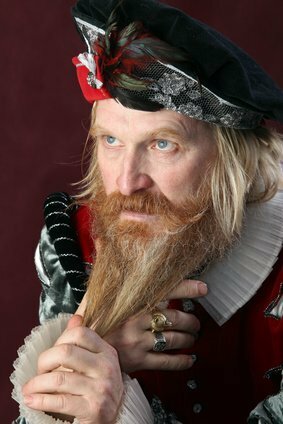 As of late, “To Beard Or Not To Beard” is a popular interview coaching question among my clients exhibiting any facial hair. According to University of Alaska professor emeritus R.D. Guthrie, author of Body Hot Spots: the Anatomy of Human Social Organs and Behavior, beards have a sociobiological impact on job interviews. When studying the social impact of non-verbal behavior and body language, he found that the beard functions as a source of visual threat, power, and intimidation, yet it may also convey maturity and wisdom. Guthrie’s research also indicates that, historically, people get what they want through persuasion, force, or fraud, so our choice of image is powerful. The interview is the art of persuasion. In a world obsessed with image, the modern man can seriously raise or sink his candidacy if he does not take the time to understand the culture, industry, and social matrix of a potential employer. It is about marketing yourself properly, and highly influential people understand this. After all, there is a reason not one US President since William H. Taft sported facial hair. Instead of using fads as your personal image consultant, it is wise to speak with or observe other professionals in similar fields and industries. The beard isn’t necessarily out of style, but the type of beard can make or break a person, says stylist Sarah Palmes of T. Reid and Company salon in Charlotte, North Carolina. “A properly maintained beard can look stylish and trendy on a man and even accentuate his features. An unruly and overgrown beard can look unprofessional,” claims Palmes. However, thick beards are not always the problem. Today’s trend includes goatees, mustaches, short circle beards, and even long sideburns. Unless maintained, these styles risk looking just as unprofessional as the full beard. “It is not in everyone’s DNA to grow a beard,” admits Palmes. Spotty and inconsistent growth can look dirty. If you fall into that category, Palmes recommends going for the clean shave. Before an interview, try researching the company’s website or search LinkedIn for employee pictures to get clues about the culture. Although creative, fashion- and art-focused fields may welcome the scruff look, candidates may quickly realize facial hair is generally not welcome in conservative fields such as finance, oil and gas, defense, or law. Candidates are walking billboards. Taking pride in your presentation is the first step in making the sale. Shakespeare’s Prince Hamlet would probably agree. The style selected determines whether it is more noble to suffer the “slings and arrows” of an unbearable situation or swallow your pride to land a part in the play.